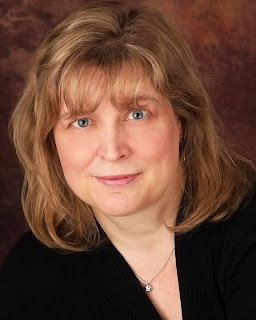 Sally Moore was born in Kingston, Ontario, and is the author of the historical fiction/fantasy trilogy, Legend of Three Crowns and a contemporary novel, Wings of a Fly, represented by Sam Hiyate of The Rights Factory literary agency. Sally has published articles and short stories in The Globe and Mail, Ottawa Business Magazine and Word Weaver. Her stories, "Summer Apples" and "The High Way" won finalist prizes in the Phoenix Short Story Contest and publication in the Phoenix Anthology. Her poems were shortlisted in the Montreal International Poetry Prize for "Wedding Service" in 2013, and longlisted for the Montreal International Poetry Prize for "Lucas" in 2011, and she won a Runner Up prize for her poem, "Gasoline", published in the Ontario Poetry Society’s Arborealis Anthology of Contemporary Canadian Poetry, Her poem, "Dear Pat", appeared in the anthology, Heart So Open, Soul So Wide, published by Amherst Writers and Artists Press. Recipient of the Len Cullen Writing Scholarship and the WCDR Scholarship for 2011 and 2016, Sally holds certificates of achievement from the Humber School for Writers, studying under authors Alistair McLeod, Nino Ricci and Susan Swan. Sally served on the Board of Directors for Norman Jewison’s Canadian Film Centre, and is Past President of the Writer’s Community of Durham Region (WCDR). Sally is a member of the Gail Mercer-MacKay Freelance Community and a member of the Whitby Chamber of Commerce. Sally won a Gold Remi Award at the WorldFest Houston Television and Film Festival as Executive Producer of the environmental documentary, A Sustainable Future, and served as Associate Producer on the Gemini Award-winning documentary, Polar Explorer. Writing credits include Lifecycle Guarantors of Sustainability, published in The Sustainable City IV by Wessex Institute; forwards to the Artshow series of design books; articles for Inside MasonryWorx; and numerous promotional and web-based materials.